← How can I use the library during the carpet installation project? Staff Spotlight on… Bette Sydelko! 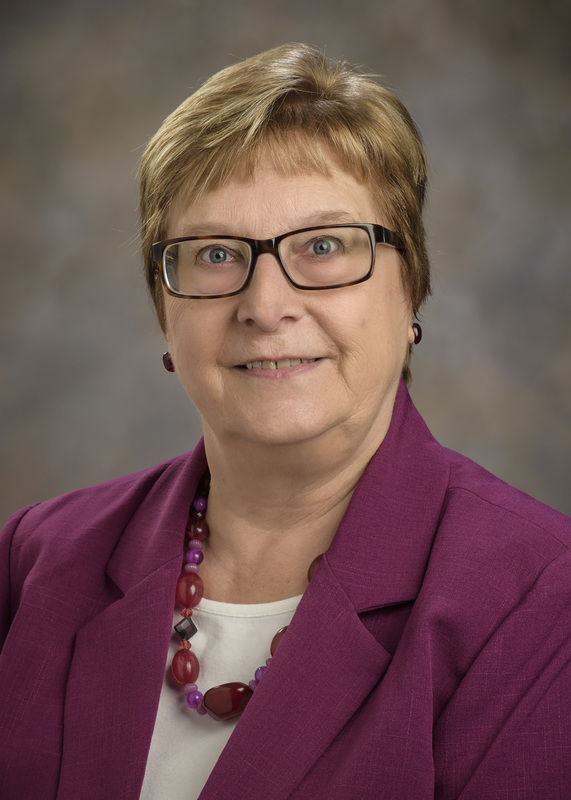 Bette began working as a reference librarian at the Fordham Health Sciences Library in 1991, having just graduated from the University of Illinois School of Library Science. In those early days she was assigned as the subject librarian for the College of Nursing and Health where she taught in the (then) newly created nursing informatics courses. What exciting times those were – moving from print indexes to CD-ROMS on single workstations to networked access, and eventually to internet access. Change was the name of the game as it still is today. Roles evolved at Fordham and Bette eventually became the primary liaison to the Boonshoft School of Medicine. The timing was right for the introduction of a new course in the BSOM, that of Evidence-Based Medicine, and Bette participated from the beginning. Helping medical students learn more about library research has been the most rewarding aspect of Bette’s career. Closing the Fordham Health Sciences Library in 2009 brought more changes. Remembering to drive to Dunbar Library every morning was the first challenge! Liaison work with the BSOM continued and more recently the College of Education and Human Services was added to keep her busy. If you’ve ever gotten help from our Ask a Librarian service, Bette is one of the many people you can thank for the early years of online library chat in Ohio. When OhioLINK got involved with statewide chat services many years ago, Bette was on its WebRef committee, which first started its own service and then got involved with the public libraries’ 24/7 KnowitNow service. Bette says these statewide services faced major issues: “Imagine chatting online with a student from Bowling Green who asked about research materials from the Browne Popular Culture Library, or a faculty member from UC who wanted to access library resources from home but didn’t know the proper way to authenticate.” We owe a lot of thanks to Bette and her fellow early-adopters for the fast, friendly, local service we enjoy today. Bette considers it a privilege to have helped online reference service, an ever-growing field, get started in Ohio. Bette’s last day will be February 28, 2019. Please join us in congratulating her and wishing her a happy retirement!